Pathan’s comprehensive, multi-approach guide is destined to become a classic reference for the classics themselves. Congratulations. Your book, ‘Classics: How We Can Encourage Children to Read Them’, has placed in the 2015 Eric Hoffer Book Awards. Again congratulations on your Eric Hoffer Book Award distinction, and we wish you continued success in the future. The Eric Hoffer Award was created to promote writers, authors, and independent presses. Please consider sending entries in future years. That’s right! 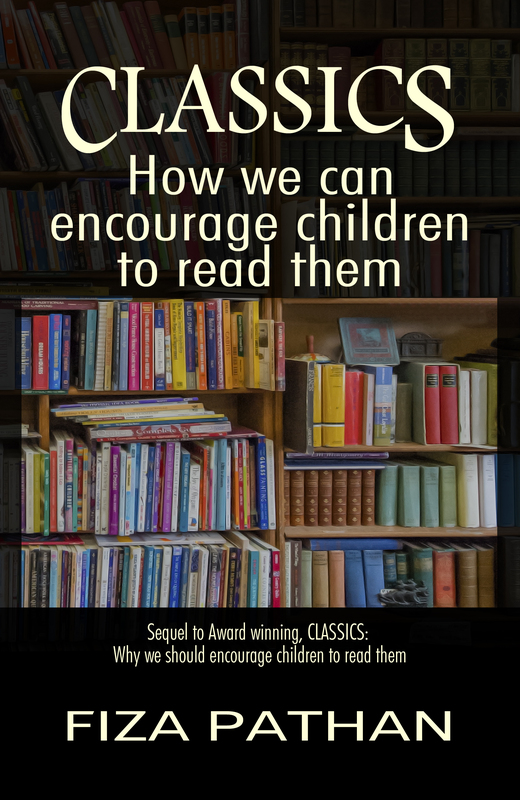 My book Classics: How We Can Encourage Children to Read Them, has received Honourable Mention, in E-Book Nonfiction category at the 2015 Eric Hoffer Awards. The Eric Hoffer Award for books and short prose honours the memory of the great American philosopher Eric Hoffer by highlighting salient writing, as well as the independent spirit of small publishers. Since its inception, the Eric Hoffer Book Award has become one of the largest international awards for small, academic, and independent presses. I am honoured to receive such a prestigious award. What touched me even more was the critique of my book on The US Review of Books website which covers these awards. The US Review of Books supports the Eric Hoffer Project by publishing the results of the annual Eric Hoffer Award for Books. The Eric Hoffer Award is judged by a separate panel, under direction of the Eric Hoffer Project. We all want (or should want) the kids to read. It expands their minds, as well as their potential creativity, in unrivaled ways, but getting them to read the classics is another task altogether. Pathan, an experienced teacher, understands that individual book tastes varies as much as the books themselves. She tries to build excitement and make her students want to read them. Her guide provides methods for introducing the classics that can be applied to most other books and cover both the classroom and home. Calling upon various multimedia aids, lecture techniques, and old-fashion fun, Pathan’s comprehensive, multi-approach guide is destined to become a classic reference for the classics themselves. I grew up reading and writing essays about the ‘Classics: Novels that is” and I think that all children should read at least one American Classic, I like John Steinbeck, Earnest Hemmingway, Tennessee Williams, Samuel Clemons, just to name a few and there are great poets like Walt Whitman and Edgar Allen Poe that are very mainstream so much so that we hardly know that from time to time we talk like them in our everyday conversations with one another. I hope that the government will devote more to this understand throughout the School System; Public, Private, Parochial and Home Schoolers, it’s a great opportunity to become well – adjusted and have something fantastic to talk with someone about. I thank everyone who likes to read and write about what they know because it let’s me know a little better where they are from and where they are at. Time for more congratulations! What a superb recognition for a much-needed book. Cheers!